• All the technology of the original launcher driver with the benefits of a larger 400 cc volume head. • Classically shaped head with a deep face for a large effective hitting zone. • 400 cc volume head. • Beta Titanium welded face. • Beta Ti is lighter and stronger than the typical titanium. This makes it possible to have a very thin face that is at the USGA limit of C.O.R. (coefficient of restitution) legality. 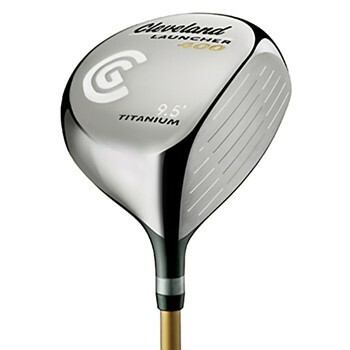 • High Moment of Inertia (MOI) means the club resists twisting on off center hits to reduce distance lost. • High launch angle for increased carry.